If you’ve spent any time online researching how to get your financial house in order, you’re probably pretty used to seeing the same piece of advice again and again: Make a budget. Even if you’re well aware that creating a budget is important, you might not be as clear on precisely how to do so. Fortunately, there is a wide variety of different budget templates for each and every potential financial situation out there, many of which you can download and use for free. The heavy lifting of organizing and categorizing your spending and income is taken care of by the tools, allowing you to just enter your information, analyze where you might need to make changes, and then take action. Is it simple? If you don’t understand what most of the boxes in your budget sheet are for, or what the results might mean, this isn’t the template for you. If you don’t understand what’s on the page, it probably won’t help you understand a lot more about your finances. Look for a more stripped-down template. Is it easy to use? Even if you do have a clear grasp on every feature of your budget worksheet, if it’s a chore to fill out, the odds are higher that you’ll stop using it. In a lot of cases, you’ll need to use this document every day, so make sure you can do your business efficiently and won’t be tempted to slack off. Can I modify the template to fit my life? No one financial life is going to be the same as the next, so being able to add or subtract categories or weigh things differently is important. Your template should change to fit your budget, not the other way around. 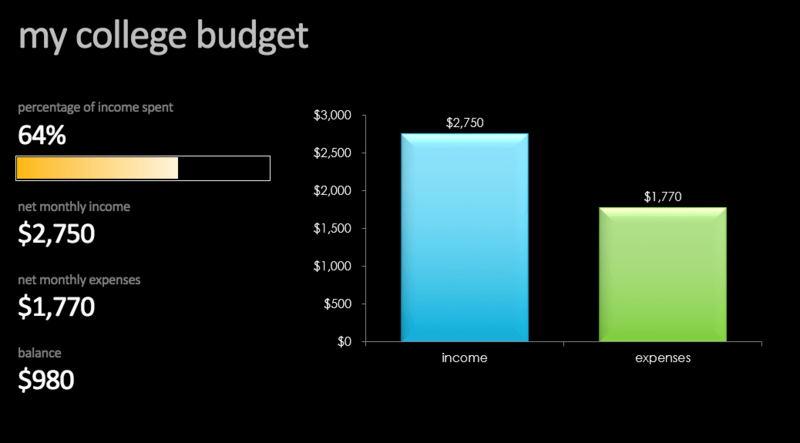 Excel budget templates make this easy, but other options like Google Sheets — or even Microsoft Word — can do the same. Is it right for my situation? The perfect budget template for your family might be a complete disaster for your small business and vice versa. Even with customization, you still want to start with a template that’s built to suit your needs. Whether you’re trying to budget for your daughter’s quinceañera or an upcoming trip to Europe, match your budget template to the task at hand. Is it worth the cost/my time? If there is a subscription or fee to use the budget, carefully consider whether or not you’re saving enough with the template to make it worthwhile. Even for a free budget template, don’t forget to value the time you’re investing. If you’re not getting actionable tips from using a template, consider changing to another that will help you find areas to improve in your finances. Is it available online? While plenty of templates will be just fine to use from a specific desktop computer, templates you can edit from your phone will be inherently easier to use. Here are 15 easy-to-use budget templates you can download today to help you manage your money. Each is geared towards a specific need, so take some time to explore the options and consider which one might be best for you. 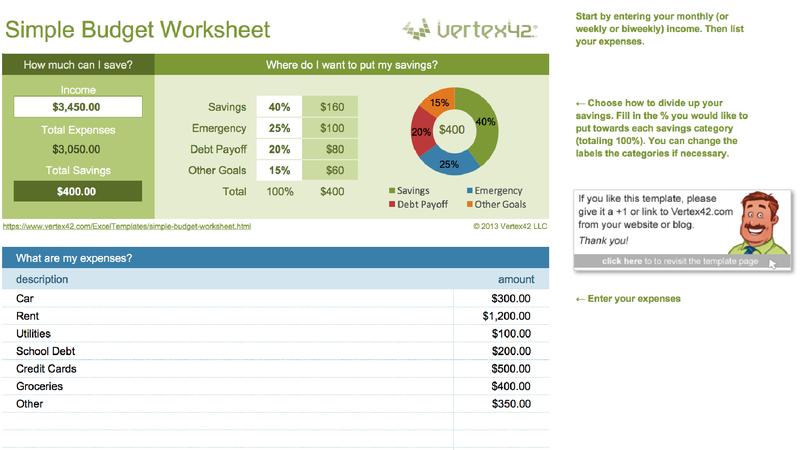 When you just need a simple budget template to start logging monthly expenses and get a better handle on your cash flow, download this simple budget worksheet from Vertex42. Easily list your bills and expenses within each pay period using this monthly budget worksheet. It also allows you to calculate your savings for each month and choose what percentage of your savings goes in which savings category. 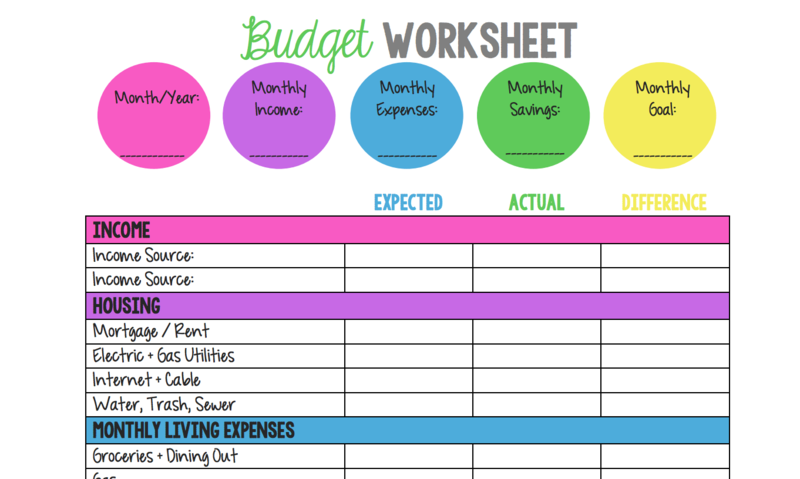 Download this simple budget worksheet. You’ll need a personal budget to keep your spending habits in check throughout your college years. You’ll want this Excel budget template close by when you’re heading to school and want to manage your finances with little effort. Because it’s designed with categories that all college students need to keep track of — such as school supplies, food plans and books — all you have to do is fill out your expenses for each semester. Download this college student budget template. When you need to clean up your spending habits and get a better handle on your household finances, use this basic household budget template to divide your spending into categories and get a clear idea of how much you’re really saving each month. The template itemizes common household expenses and lets you see the difference between income and expenses after you fill in the fields. Download this home budget template. Hosting parties and larger social events can put a dent in your wallet if you don’t keep track of all your expenses. This is especially true when you’re budgeting for a wedding, which has a higher degree of difficulty because you don’t always know what all the categories of expenses will be or how much you should be spending in each. Create a budget for all key categories you need with this template for an event budget — be it a wedding or hosting a charity gala. You can also log your actual spending to see how well you did with your budgeting efforts. 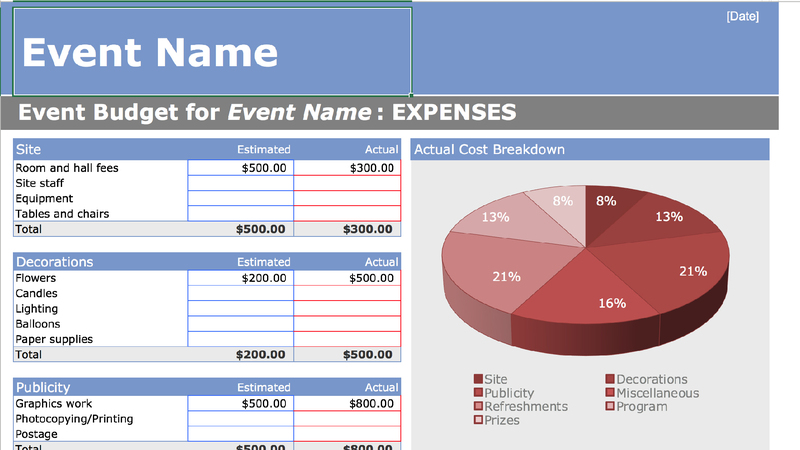 Download this event planning budget template. Make sure you have a realistic game plan to reach your retirement goals with this template. You can log your age, annual income, savings and investment return information. You’ll also enter your desired retirement age and income, and the template will automatically chart the amount of yearly income and savings you need to reach your retirement goal. 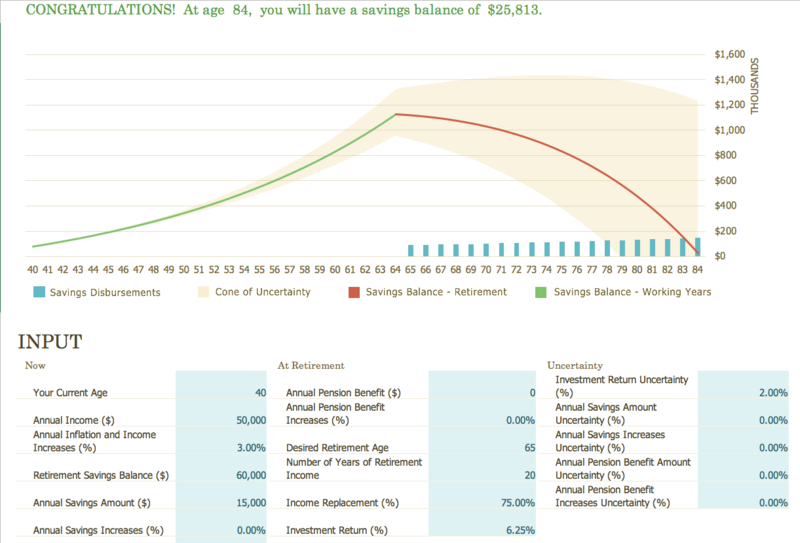 Download the retirement financial planner template. Of course, saving enough for retirement is just the first part of the plan. Once you’re actually retired, budgeting becomes even more important as you live off a fixed income. With various different income streams to track in addition to all your normal expenses, you need a template that will allow you to keep track of your budget so you don’t spend your nest egg too fast. 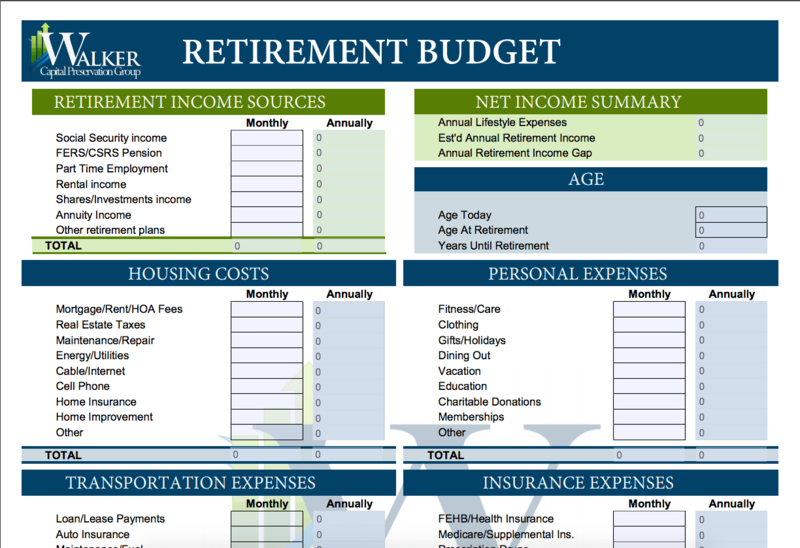 Download this retirement budget template. Ask This First: How Much Do I Need to Retire? When you want to make an annual budget plan for your family and keep track of your monthly, quarterly and annual expenses, use this simple budget template from “A Mom’s Take” designed for households. Color-coded for easy reference, this household budget template breaks things down into several important categories, including monthly vs. long-term expenses. Download this family budget planner. Sometimes handling a weekly budget is more effective than handling a monthly budget — especially if you always seem to come up short at the end of the month. If that’s the case, use the Weekly Budget from Smartsheet — available on Google Sheets — to keep track of every single purchase and expense for the week. This budget template lets you log your current checking and savings account balances so you can see exactly where you stand in the cash flow department. Download this weekly budget template. When weekly budgeting feels like overkill, you can use a monthly budget template to check in with yourself. GOBankingRates has a great template that will not just allow you to track expenses, but compare the actual spending to what you had budgeted ahead of time. Just enter all your receipts for the month in each category and you’ll get an idea of how much is going toward your emergency, investment and retirement accounts after all your monthly expenses. 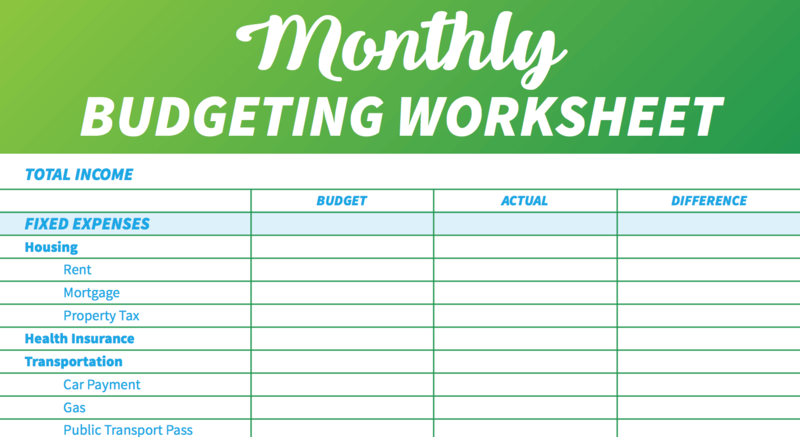 Download this monthly budget template. Making a yearly budget can help you get some perspective on your financial standing and set realistic goals for the year ahead. You’ll need to estimate your monthly income if you’re not getting a consistent paycheck to make this simple budget worksheet work. You can use this template to enter your income and all your expenses to track your progress over time and forecast your costs across all major categories. Download this yearly budget template. Whether you’re a startup or an established business, creating a plan for your expenses can help you make better financial decisions throughout the year. 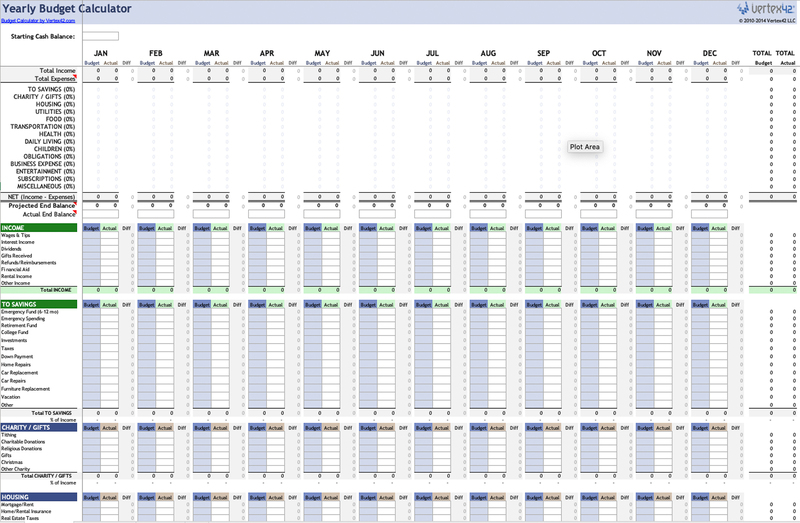 Get a free business budget template from Google Sheets that will show you a monthly and yearly breakdown of your financial goals and the actual costs incurred, including income and expense categories tailored to most businesses. Download this business budget template. Rein in your holiday spending this year with the Holiday Shopping Budget from Microsoft. 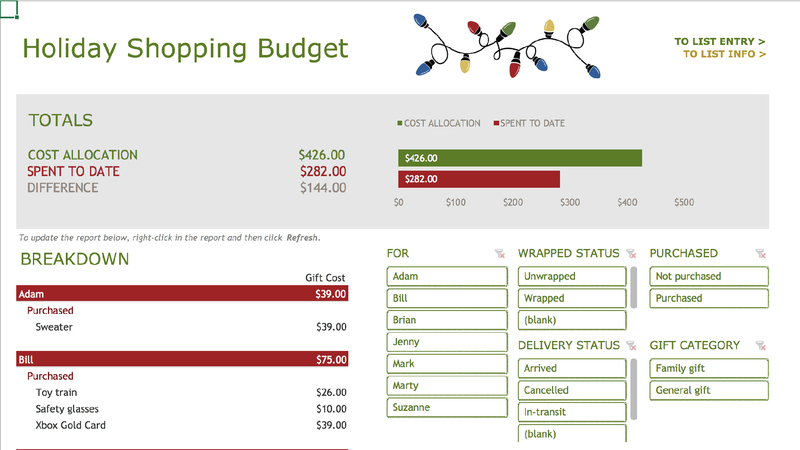 Itemize all your gifts by recipient, keep track of how much you’ve allocated for each gift and find how much you’ve spent to date with this simple Excel budget template. You can even note whether each gift has been wrapped. Download this holiday shopping budget template. Of course, if part of the reason you’re using budgeting templates in aspects of your life is to save up for a big vacation, it can help to know what that will actually cost. That’s where this Travel Budget Template from Vertex42 comes in. With vacation-specific categories, you can plan your dream vacation and plot out your costs ahead of time so you know what to expect — not to mention see how changing your plans will affect costs while you’re actually living it up during your well-earned time off. Download this vacation budget template. Planning a fundraising event requires some sound budgeting skills. Not only are you tracking the cost of putting on the event, but you also need to track the donations coming in. 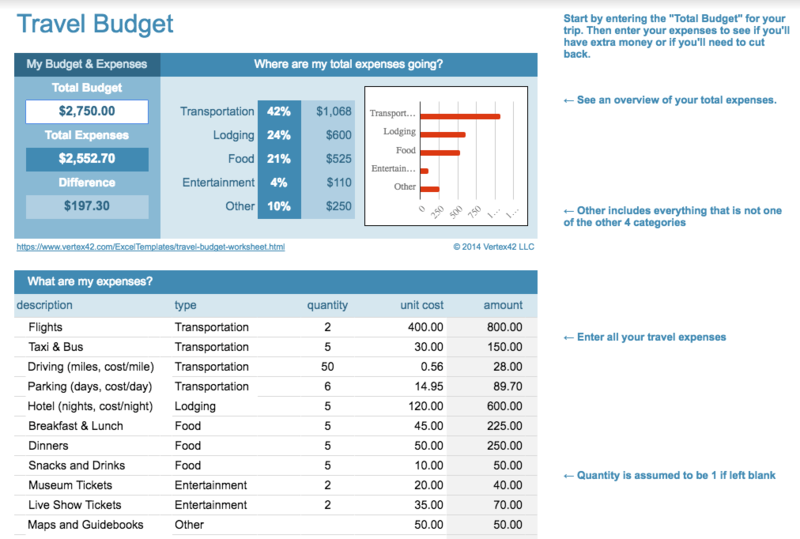 With this fundraiser budgeting template from Microsoft, you can log all of your expenses for the fundraisers — such as vehicle rentals, costs for advertising and business licenses — as well as your incoming donations to see how far you are from your goal. 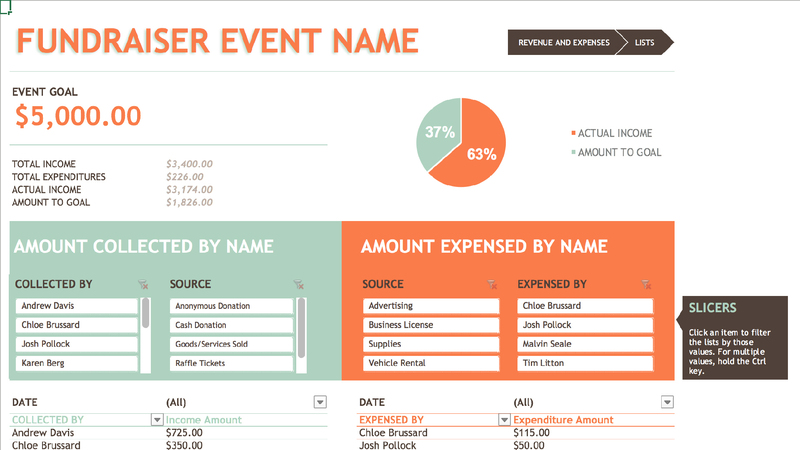 Download this fundraising event budget template. When you’re playing the role of project manager for a personal project like home remodeling or a family vacation, you’ll need a budget to predict and manage your costs. You can use a Project Budget Template from Vertex42 to keep track of expenses like labor, materials, fixed costs and your actual spending — at every step of the project. Breaking things down this way can help you better monitor your spending over time, so you don’t end up being out of money before the project is complete. 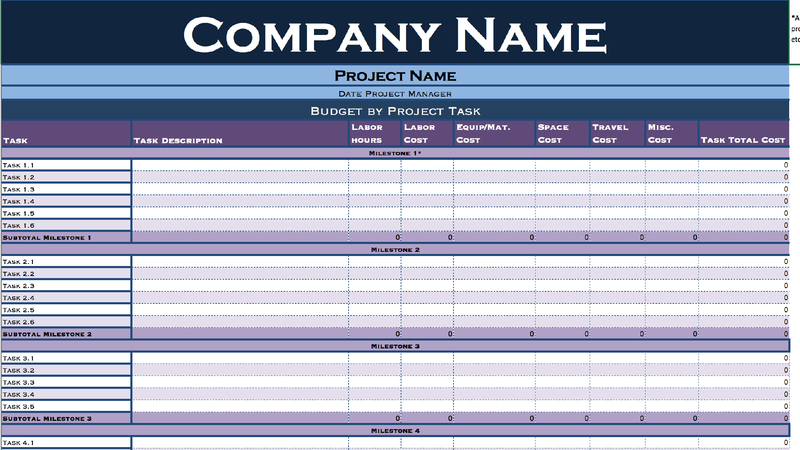 Download this project budget template. No matter whether you prefer a weekly or monthly budget, an Excel or a Google Docs template, the important thing about budgeting is to start now. Getting a handle on where your money goes will give you the information you need to make any necessary changes. Then, you’ll be better able to achieve your short- and long-term financial goals. Budgeting doesn’t have to be hard — keep reading to learn tips and tricks to take the fear out of budgeting.